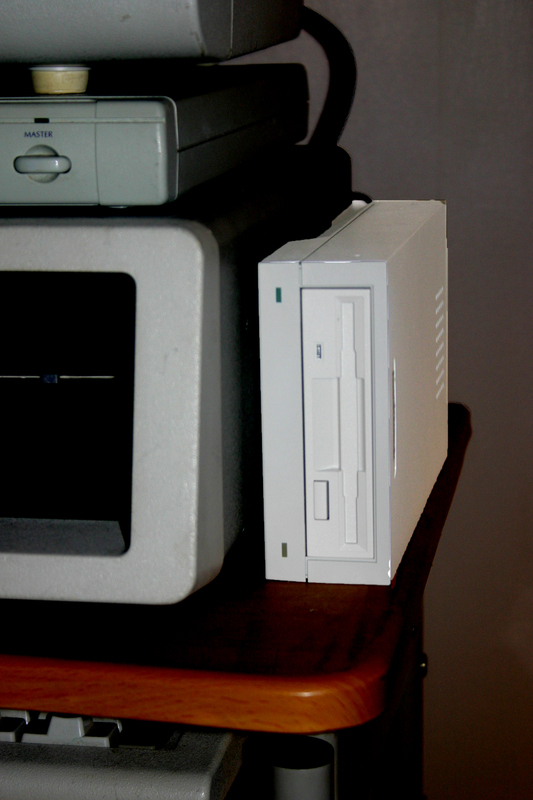 Pictured here is the MicroSolutions Backpack drive which allows older PC’s that were normally only run using 5.25″ floppy disc drives to use 3.5″ 1.44 MB floppy drives as well. It connects via the PC’s parallel, or printer port. In this system, the 5150 can read and write to the full 1.44 MB diskette!